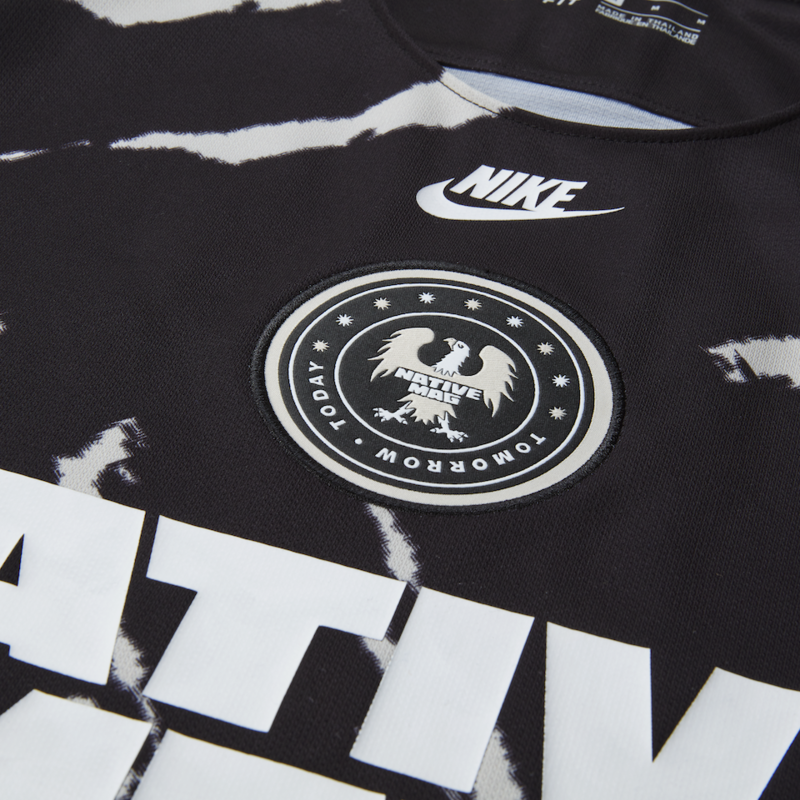 Nike joins forces with THE NATIVE, a Nigeria-based authority on music, art, style and football to launch a special edition jersey, featuring a distinct tire-mark design. 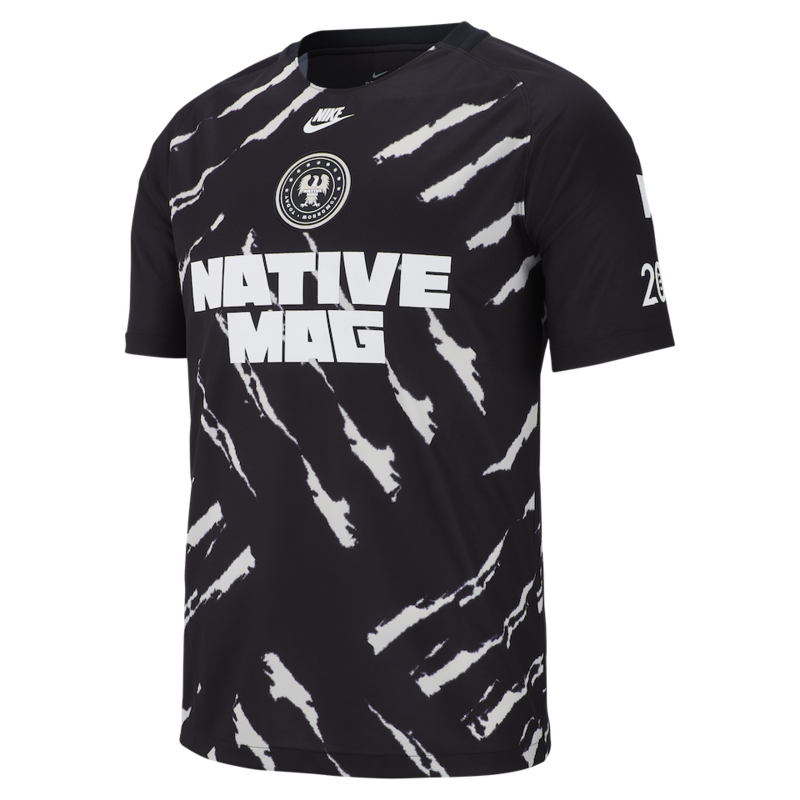 This jersey will ignite pitches and dance halls with a design inspired by Adire, traditional Nigerian clothing, and Nigerian street football. 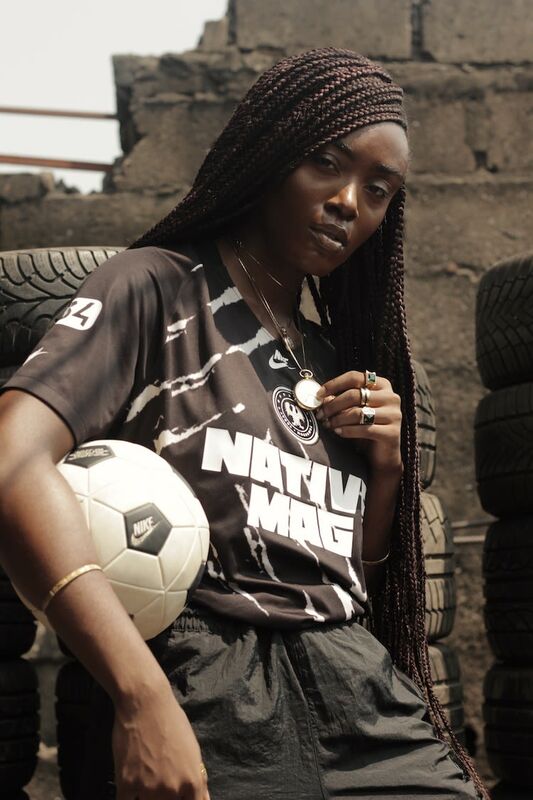 The-tire mark repeated print pays homage to “monkey post” – a style of street football in Nigeria played on sand pitches with small goals, made from car tires. 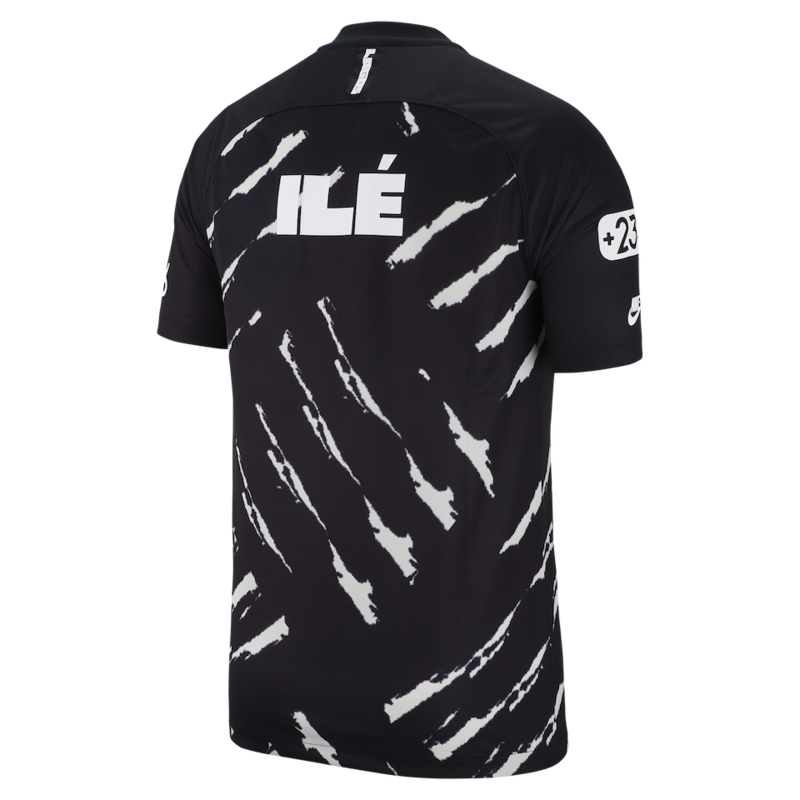 Translating to “Home,” the Yoruba word, “ILÉ” is a nod to the local community. 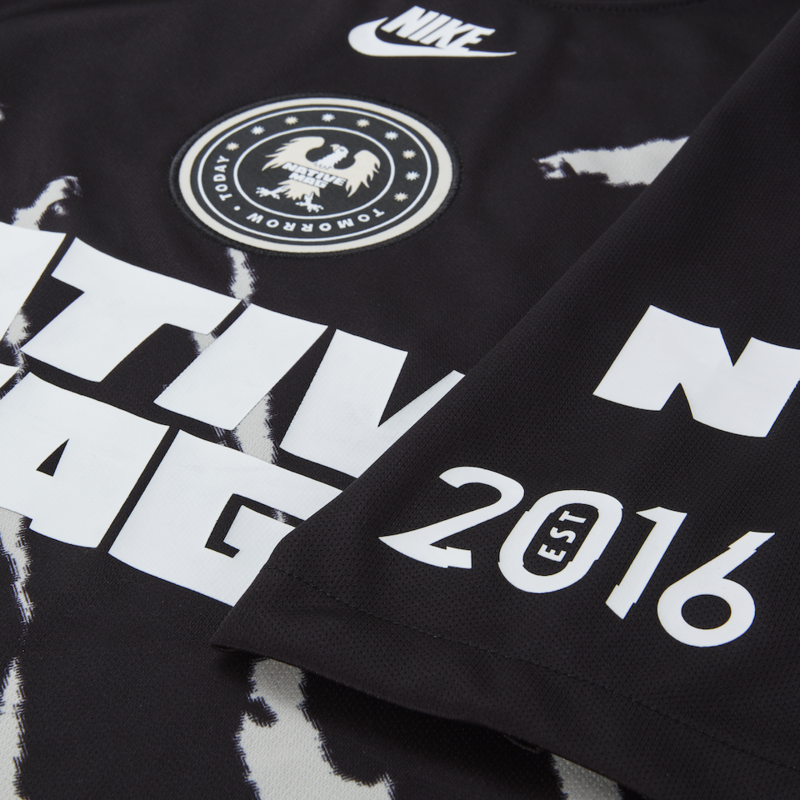 Meanwhile, the international calling code for Nigeria on the jersey’s sleeve calls to the Nigerians living all over the world, from London to Amsterdam to New York as another close tie to their home nation. 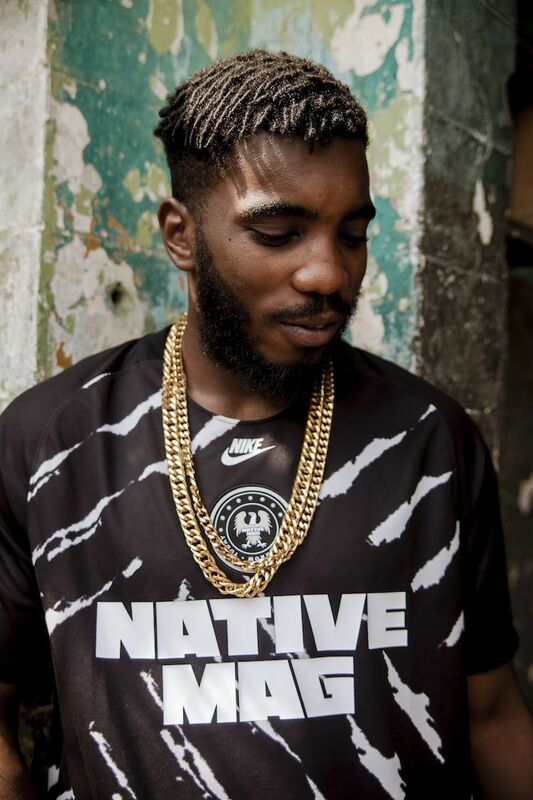 Established in 2016, THE NATIVE was born as a hub for the best music on the African continent, and everything that surrounds it - from fashion to skating to football. 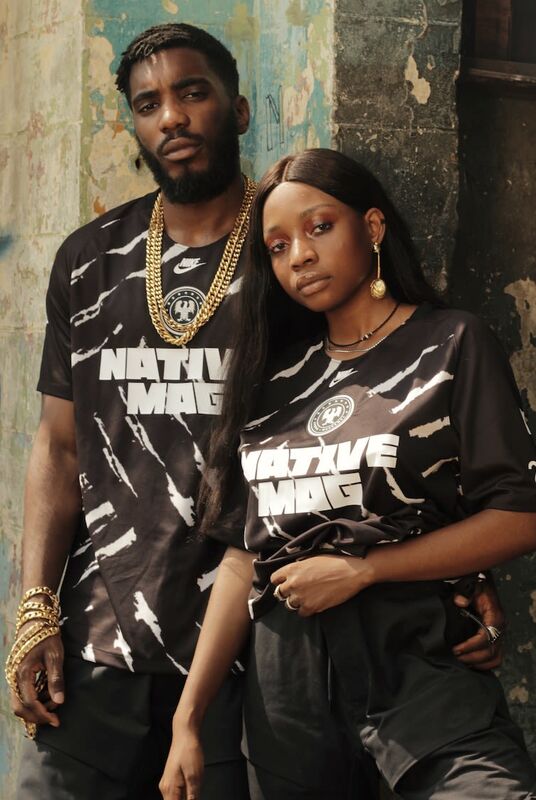 Originally starting as a magazine and a music festival, THE NATIVE has transformed into an all engulfing lifestyle brand that leads the culture.